How we loved them when the year began! The soft shell tones of a golden blush… that cool new eye shadow in delicious aqua and that radiant tube of lipstick in sunset orange. We headed out to the stores to supplement our beauty arsenal with all the new kids on the block that ranged from claw-shaped acrylic nails to large bronzer brushes for deep contouring. Over the months that followed, we kept adding a dash of this, a tub of that and pot of something else to present our best face forward. But now, as the year draws to a close, we must kiss some of the biggest trends of 2016 goodbye and head towards a new beauty landscape. The first place to begin is the skin. If the year gone by was all about keeping the skin cool and perfect, the New Year will usher in the ai?? ?fresh and dewyai??i?? look. You can finally put away all those blotting sheets and face-perfecting foundations; get ready to embrace a new look that celebrates your natural beauty. It is also going to be the year when you need to add a touch of ai???lightai??i?? to your beauty routine. 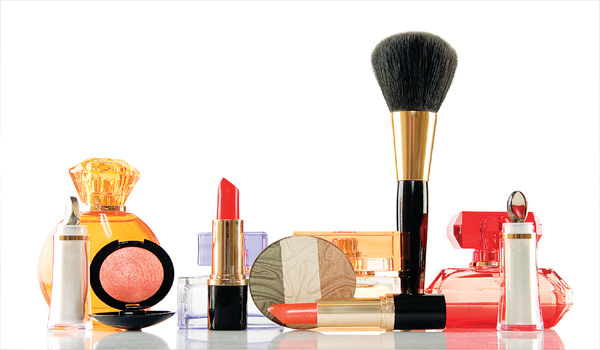 So, get ready to buy beauty products that will add a soft radiance to the face. Some brighteners offer much more than shiny micro-particles that will brighten the skin. Many of them contain vitamins or moisturising agents that will give your skin a veritable cocktail of beauty enhancing treatments. Another trend that you will need to bid goodbye to is the non-shiny ai???lipai??i??. Over the years, weai??i? ?ve swung from glossy to high shine, neon to gothic, peach to plum lip colours in the quest for the most eye-catching pout, but 2016 was about going ai???matteai??i??. However, as the trendsetters are now poised to relax all the old beauty rules, lip colour could go back to being creamy and beautifully moist. So save your mattes for the monsoon and enjoy the sensation of moisture-drenched lip colour. If you hate glitter and all the glittery make-up that inundated the stores last year, thereai??i? ?s bad news and good news. Glitter and gloss will stay on, but it will take on a much more sophisticated avatar. An entire gamut of soft metallic eye shadows, glowy highlighters and glittery lipsticks are on the way to beauty counters. The next trend that will take centre stage is the ai???no-contourai??i?? look. Makeup artists predict that ai???blush-drapingai??i?? is going to be the new look. This is a method of giving your face a sculpted glow with a blush instead of a bronzer. It gives a much softer look than the harsh angles that resulted from techniques like contouring and strobing. If you are fed up of seeing colour contrasts on the face ai??i?? like neon blue eye shadow, teal mascara and tangerine lipstick ai??i?? then get ready for the winds of change next year. Colour will continue to be big in 2017, but it will veer towards matching tints on each feature of the face. It is never easy to bid good bye to the trends of the past, but it would help to remember that beauty is ever-changing and ever-transforming to make you look fabulous. A journey towards great beauty could truly begin with a single, experimental step. Asha Chowdary presents a column on whatai??i? ?s trending in the world of fashion. Write to her at ashchowdary@gmail.com.